Known for their rugged capability and smoother than average handing, Can Am ATVs are a fan favorite for good reason. When you need high quality parts for your ATV from this heralded manufacturer, we offer an inventory spanning every possible need in terms of part type and model from years 1999 to the most current options. Find it all right here and get back to riding! From the Commander to the Maverick, a side by side or utility vehicle from Can Am offers power and speed with all the stability and control you need for work or play. We offer a wide selection of models, series, and years to help you get the best outcome for your machine. Whether you need spark plugs or a bushing kit for the suspension, we have it all in one convenient location for your shopping needs. With models ranging from the Expedition to the Tundra, and a wide range of available years and series within the offered models, we have all your Ski-Doo needs all in one place. Whether you need spark plugs and bearings or track parts, find it right here with our wide selection of affordable solutions. When you want a reliable option for navigating the toughest terrains with ease and control, there are a few names which immediately come to mind. 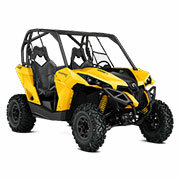 As a part of the heralded BRP company, Can Am gives you vehicles designed for fun and function, all in one great design. With our selection of Can Am parts covering every imaginable aspect of their most popular vehicles, it has never been easier to maintain your favorite set of wheels. When looking at the Can Am lineup and overall history, there are a few things worth remembering. For starters, the company has a long history dating back to 1942 under BRP which brings decades of innovation and expertise to every model they create. With a focus on manufacturing vehicles that are not only safer but also more durable overall, Can Am has introduced some of the most dependable all terrain and side by side vehicles over the years. They have pushed forward innovation after innovation and it shows with the improvements in each new generation of vehicles. In fact, they were the first in the industry in the 1990s to offer ATVs with TTI rear suspension to offer incredible control and comfort thanks to the placement of two independent pivot points. A decade later, they would be the first ATV manufacturer to introduce an ATV approved for a driver and passenger or a two-seater model. The focus on rugged stability and control over tough terrain without compromising on maneuverability or speed has brought some of the most dependable models to the industry. With the overall performance features and rugged reliability, Can Am ATVs and utility vehicles are used just as much for work as they are for play. From the focus on wheel base length and ground clearance to the powerful engine and CVT, every model offers the impeccable standards associated with the brand. When you want power and performance without compromise, this is the manufacturer for you. Another thing worth noting is that BRP houses not only Can Am vehicles for land but also Sea-Doo vehicles for water and Ski-Doo vehicles for snow. BRP has created an industry standard in all three areas with these recognizable names for vehicles that are ready for action wherever the journey takes you. 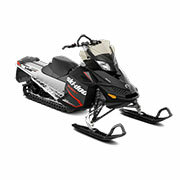 The Ski-Doo lineup revolutionized the sledding industry with a focus on sleek designs for agility without losing the control or stability required for safety. 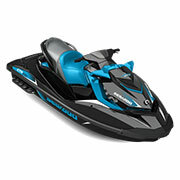 The Sea-Doo is the top brand for jet skis thanks to their focus on speed and agility and safety features to make the ride smoother. No matter what terrain or type of riding you are looking to do, BRP has a vehicle designed to take you places. We offer a diverse selection of parts covering all of the BRP lineup, including Ski-Doo and Sea-Doo, to make sure you have everything you need for your next ride. With such a long and outstanding history behind every model, we are proud to play a role in the Can Am story. With our diverse selection of affordable Can Am parts at the ready, get everything you need to keep your ATV or utility vehicle in great shape. 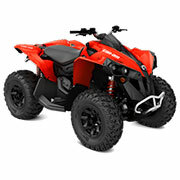 We offer Can Am parts for their most popular land vehicles including their rugged ATVs and side by side vehicles. Whether looking for an option for the Outlander or Renegade, we have you covered with all the essentials. From the air intake system to the fuel system, we cover all the important areas of your ATV or side by side vehicle to ensure you get the right outcome and desired performance. When looking for parts for your Sea-Doo or Ski-Doo, we also offer a diverse selection of these necessities covering a wide range of models. As part of the BRP family, these two vehicle types are part of our focus and it shows in our inventory. Whether you are looking for something for land, snow, or sea, we have you covered with our selection of parts and solutions. All of the Can Am parts, as well as the options for Sea-Doo and Ski-Doo, are made with high quality standards to ensure the right outcome. With a range of specs at the ready to match just about any model or year, it has never been easier to find a solution for your favorite ride. Find it all right here! If you have any questions while shopping with us, please contact us for assistance. We pride ourselves on providing quality products and outstanding customer service with every order. We are always happy to help you find the right solution.